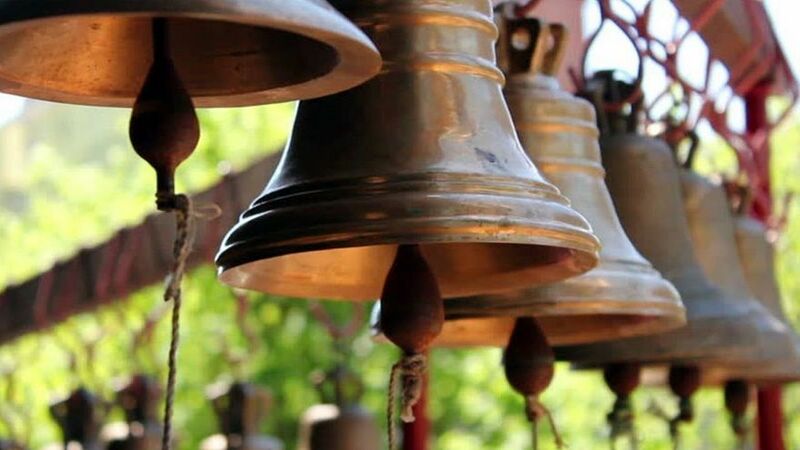 News >> General News >> Why We Play Bells in Temples? The Ghanta (bell) is an integral part of our culture. Bell chimes are heard at the commencement of any puja. The yajamana performing the ritual recites a sloka that begins as ‘Agamartham tu devanam, gamanarthantu rakshasam’ meaning ‘I ring the bell as an invocation to the divinity so that virtuous and noble forces enter and the negative forces depart’. 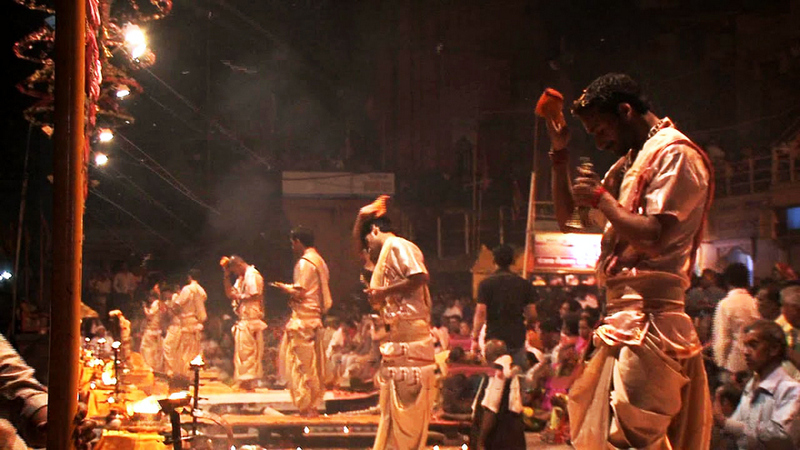 During the course of the puja, there is periodical ringing of the bell while making different offerings to the lord. The toll of the bell is considered auspicious. The sound made form a well-designed ghanta is deep, continuous and sonorous. It is said to signify the primordial sabda or Omkara. 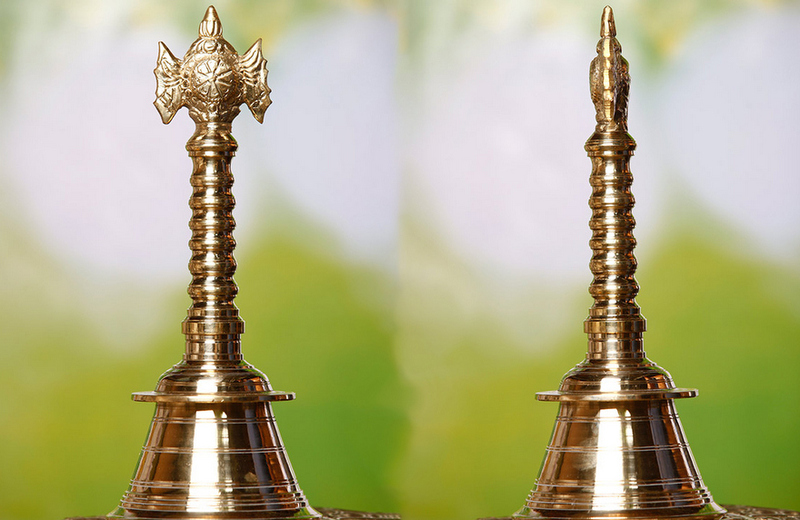 Puja bells are usually embellished with specific figures depending on the deity for whose worship it is meant. 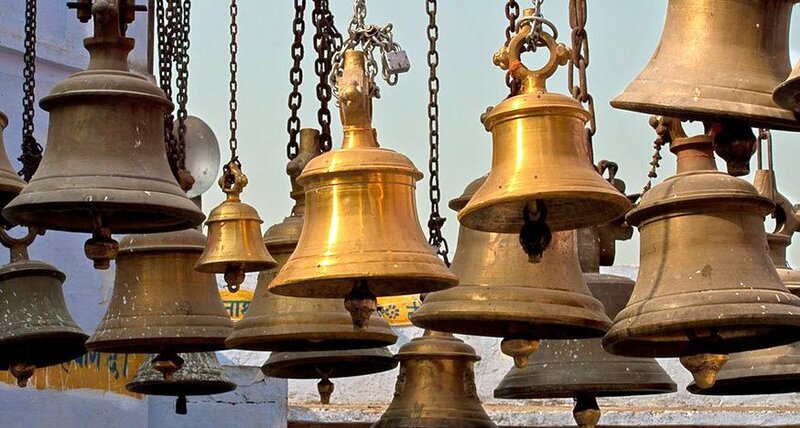 Bells used in Siva worship are cast with the figure of Nandi, or the bull which is associated with Lord Shiva. While those used in the worship of Vishnu have a figure of Garuda, panchajanya conch or Sudarsana discus. 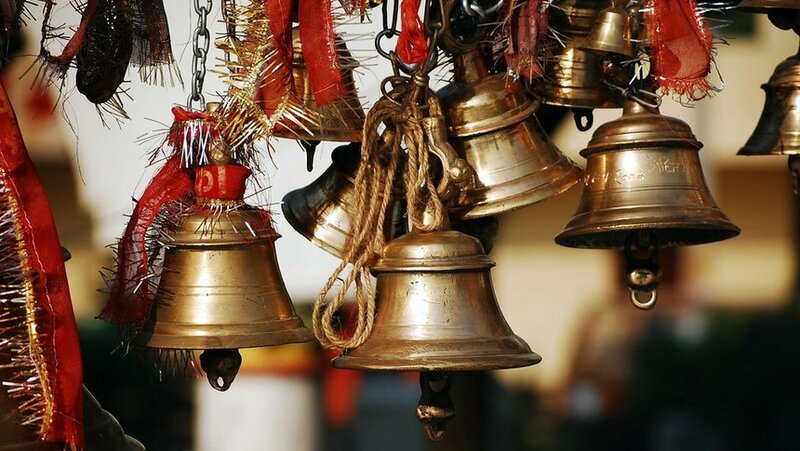 The bells are usually made of specific metals like copper, alloys like brass or panchadhatus. 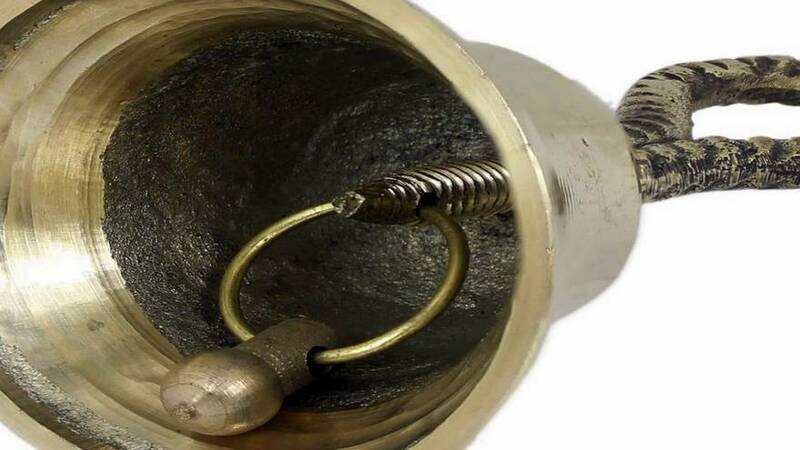 It is like the proportion of each metal in alloy that determines the distinct sound produced by the bell. 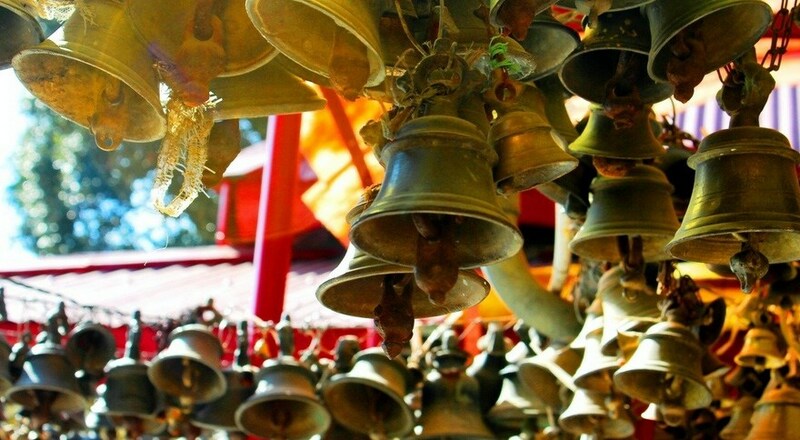 It is customary for devotees visiting temples to clang the bell installed in the shrine. The intense sounds serve to momentarily empty the mind of all thoughts and awaken one to the divine presence. Bells and gongs, along with the temple lamps, fragrances and food offerings, serve to create the perfect ambiance of exalted awareness. During the arati and other special moments in puja, the ringing of the bell is accompanied by playing of the conch and other instrument that drown any inauspicious or irrelevant thoughts and noises that might disturb worshipers in their devotional thought, concentration and inner peace. 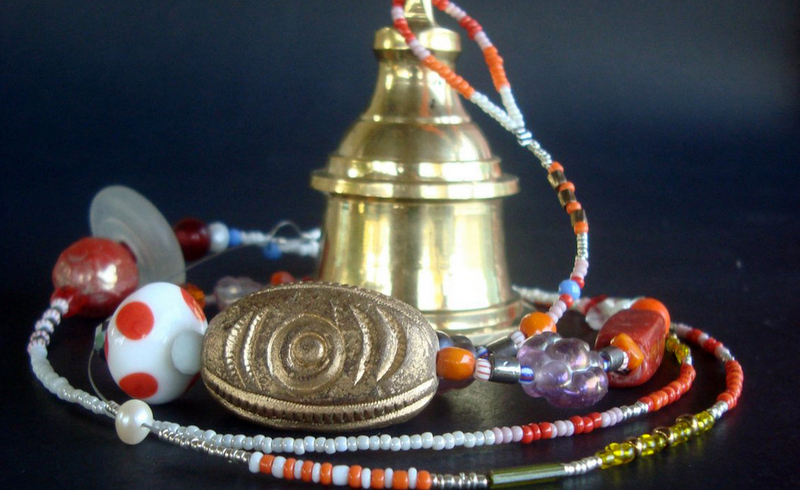 According to the international academy of sound healing, any sacred sound can create total silence within. The end result of this sound experience is enhanced development of intuition, creativeness and the emergence of calm within the storm of existence.